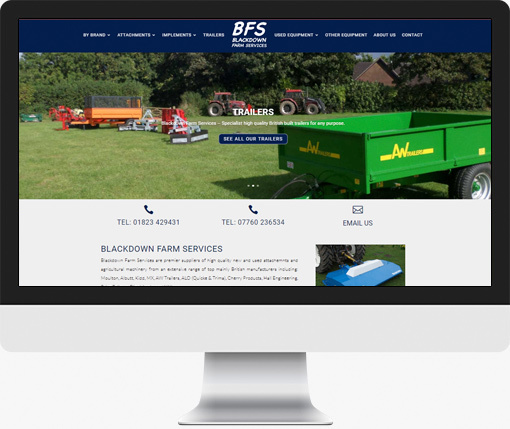 To create a site that displays the Farm Services available as well as showcase new and used equipment available for order direct with Blackdown Farm Services. A responsive modern and easy to use site was essential. A brand new product showcase website built for a new client.